Atlantic Productions is producing a groundbreaking new 3D film in preparation for the launch of Sky 3D – Europe’s first 3D TV channel. 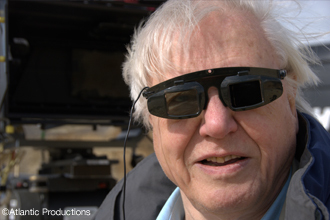 “Flying Monsters 3D” is a pioneering documentary about the prehistoric world, and will be written and presented by Sir David Attenborough, one of the UK’s best known broadcasters. The brand-new Freestyle Rig from P+S Technik is especially designed to offer a maximum of creative choice for camera movement in 3D production and is now available to hire from ONSIGHT's 3D Camera Rental team. Designed for constant equilibration, the rig always keeps camera weights in perfect balance when wireless adjusting the stereo base. By using patented Carbon technology, also used for Formula 1 race cars, the best combination of load capacity, stability, form and weight was achieved. Ivan Dunleavy, Chief Executive of Pinewood Shepperton plc, formally opened ONSIGHT’s 3D Centre at Shepperton Studios yesterday. 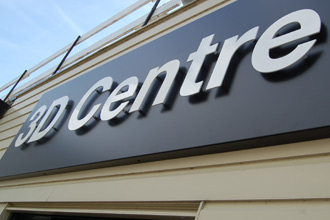 The aim of the 3D Centre is to bring visitors up to speed with stereoscopic production with 3D demonstrations, screenings, seminars and one to one expert advice. 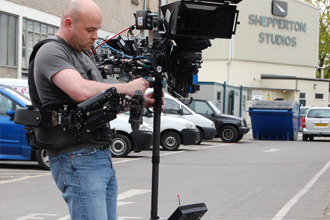 ONSIGHT are 3D and HD experts, providing everything from the latest 3D camera rigs to secure data back-up, digital lab services and 3D post-production. Their special relationship with the industry’s leading manufacturers has kept them at the forefront of production technology for over 20 years. 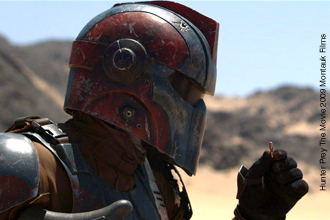 SCI-FI-LONDON is the UK’s leading genre event and an internationally recognised launch pad for genre movies. The festival is now in its 9th year and will take place Wed 28th April – Mon 3rd May 2010 at The Apollo Piccadilly Circus Cinema, London’s most luxurious cinema. Each festival features at least a dozen UK premieres and in the last few years they had the first public screening of 28 Weeks Later and the world premiere of Bruce Dickinson’s Chemical Wedding. Marc Hoeferlin, Juan Reina and Barney Broomfield are the filmmakers behind Albino United. 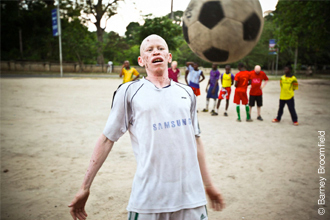 Shot by Barney Broomfield on a Panasonic P2 Varicam and coming soon to the True Stories strand on More4 and National Geographic, their film follows a team of Tanzanian albino football players as they use sport to try and dispel the myths that have lead to many albino killings.